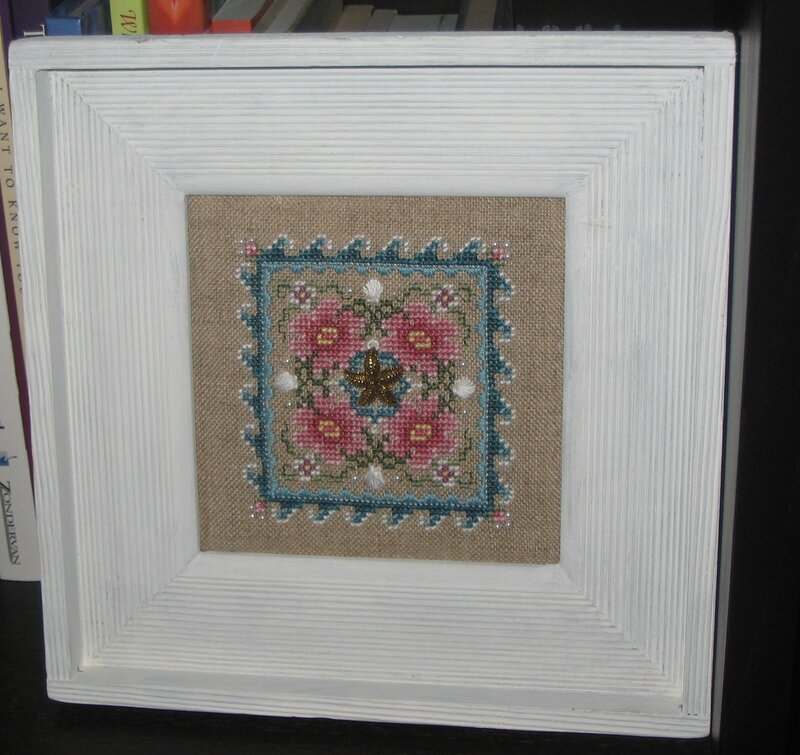 I pulled this out of the bottom of the WIP basket (which is really like 3 baskets…but we won’t go there!). I started it back when it was still a freebie. Now it’s part of that fairly new release by LHN with all of the freebies in one chart. 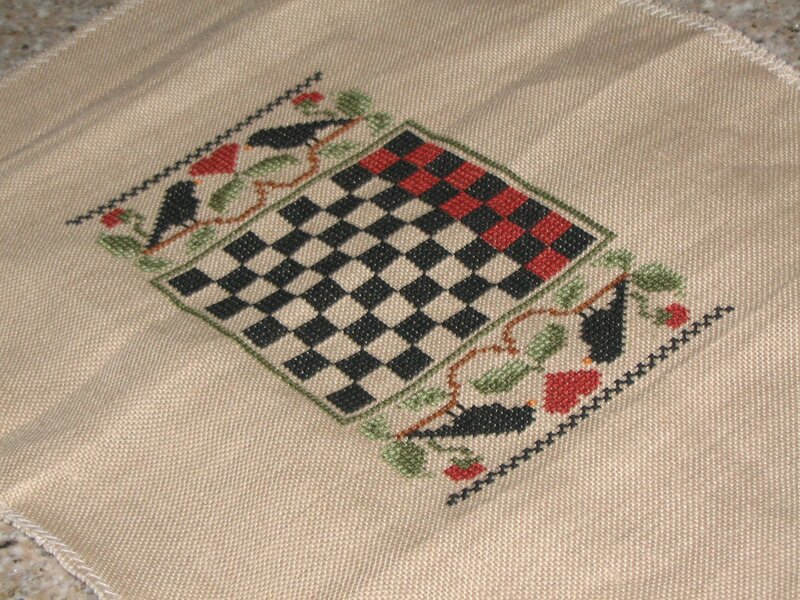 I love it, and I’m anxious to get it done, however the repetitive squares are getting a bit tiresome…maybe that’s why it got put away I have changed one part of this design. 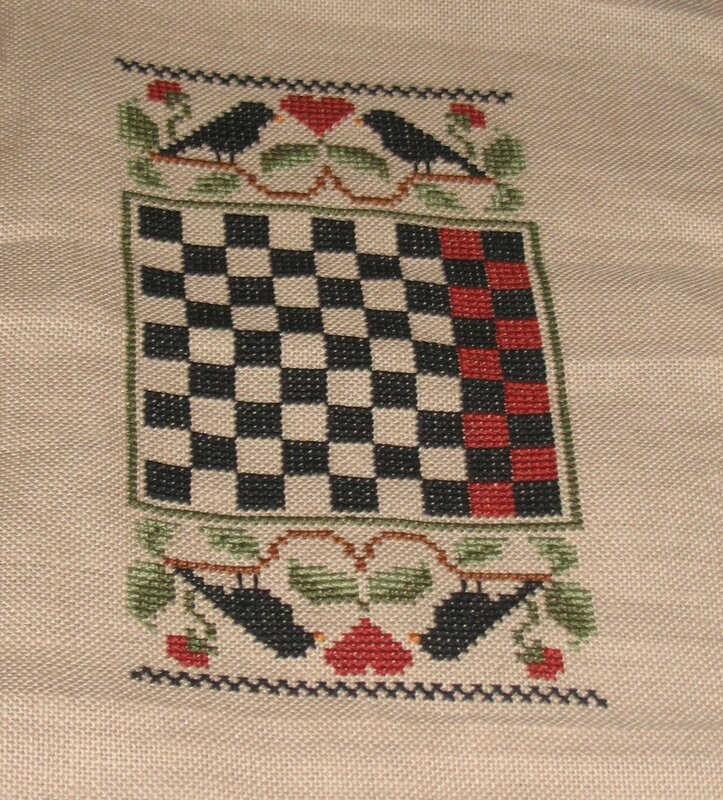 The original calls for a tiny white heart in one of the red squares at the bottom right. I didn’t like there being only one…so I’ve left it out completely. Also I had a few things framed, so here’s the final products. 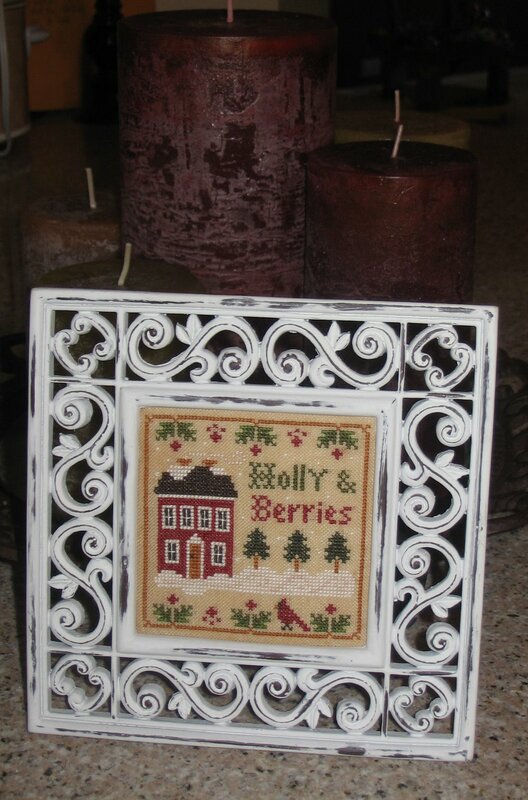 The Just Nan and Waxing Moon pieces have been stitched since before Nicholas was born…so they’re circa 2005ish. Nice to have them done. 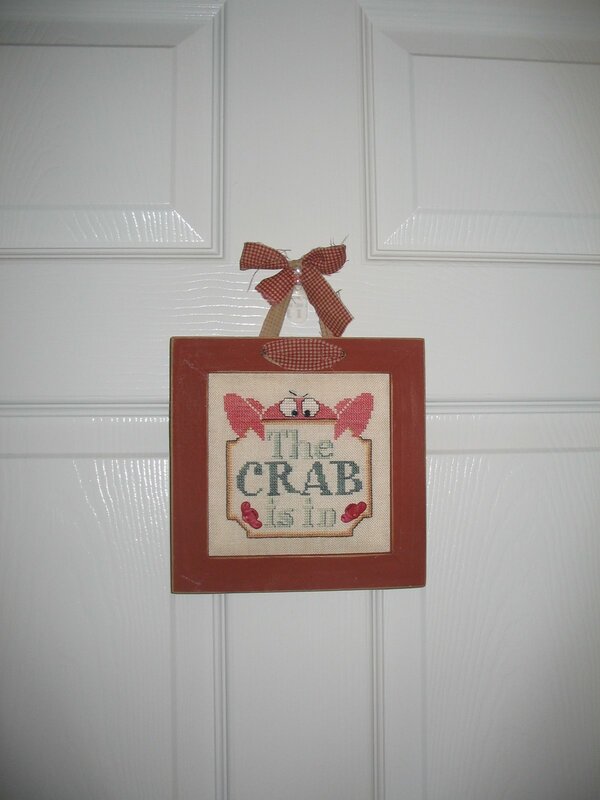 The crab is hanging on Nicholas’ door…it’s appropriate for him this week; but seriously, it’s there mostly because he liked it and wanted it in his room.